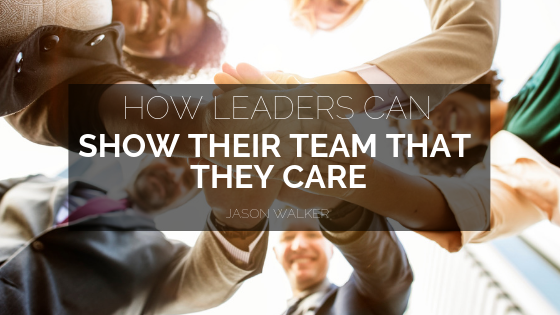 As a team leader, building strong social relationships with the rest of the team is crucial towards showing care. Such relationships founded on friendship generally create an atmosphere of social cohesion. Although one be a team leader, it is crucial that such friendship is upheld in ways that do not unnecessarily exhibit social differences with the rest of the team. Sometimes, team members have personal needs which require a personal touch and care. Personal issues such as social frustrations can significantly impair the ability of team members to discharge their responsibilities well within their respective teams. The team leader should utilize such an opportunity to offer personalized help where necessary. Talking to frustrated team members helps calm them down while in turn building a strong relationship. Doing little things that matter most among fellow team members helps make them feel highly appreciated and cared for. Little things such as writing thank you notes to the team members for accomplishing certain delegated responsibilities give the members a sense of pride and belonging to the rest of the team. Sending best holiday wishes to the team members, on the other hand, makes them feel recognized, valued, and appreciated in general. As a team leader, one should endeavor to emphasize providing honest and transparent feedback where possible. This does not mean that you do not correct or criticize your team members where the need arises. Maintaining a polite tone, in such cases, helps uphold the necessary level of respect required. Maintaining transparency in leadershipalso helps create a sense of unity, cohesion, and appreciation for the value of teamwork. Being transparent as a team leader entails revealing to the rest of the team how the company’s manager feels about the team in general. Leaking a few secrets to the team regarding an anticipated surprise prize in case the team performs well helps portray positive concern to the rest of the team. This, in turn, helps build rapport within the team.